Fatigue is a physical state of a person who describes weakness and lackluster. Fatigue can be associated with physical and mental. It is not the same as feeling sleepy even though this is a symptom of fatigue. According to National Institutes of Health in the US, 1 in 5 Americans experiences fatigues that impact on the quality of work, fatigue could happen to anyone, either women or men. Causes of fatigue can diversify, it can be a lifestyle, medical conditions. Lifestyles that contribute to fatigue are drinking alcohol, caffeine intake, excessive activity, not active, lack of sleep and unhealthy eating patterns. Mental problems also affect the fatigue such as depression, anxiety, sadness, and stress. Fatigue that afflicts a person can cause medical problems such as cancer, liver failure, anemia, heart disease, kidney, thyroid disorders, obesity, and diabetes. Among the many symptoms of fatigue is muscle pain, lack of motivation, dizziness, difficulty concentrating, loss of appetite, irritability, lack of energy and moodiness. Fatigue that you experience can be eliminated by eating certain foods. These foods are foods that contain lots of nutrients like proteins, fats, complex carbohydrates, vitamins, and minerals. Here are 10 superfoods to fight fatigue. Here are 10 Superfoods to Fight Fatigue. 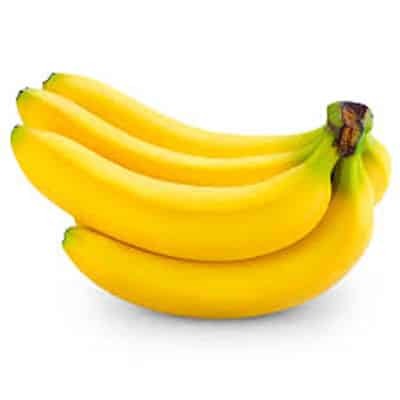 Bananas are one of the essential foods in fighting fatigue. Bananas contain lots of potassium that are beneficial to convert sugar into energy. Not only that but bananas also contain many vital nutrients such as vitamin B, vitamin C, omega-3 fatty acids, carbohydrates, and fiber. These nutrients will help you fight fatigue and symptoms. To get the benefits of bananas, you can eat a banana as much as 1-2 pieces a day. You can also consume other food that is containing a banana like a smoothie. 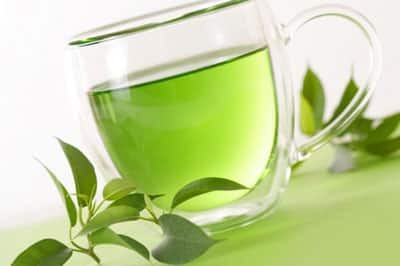 Green tea is a healthy drink that can to fight fatigue. A cup of green tea a day can reduce stress and fatigue due to work. Green tea contains polyphenols that work to relieve stress, increase energy and concentration. 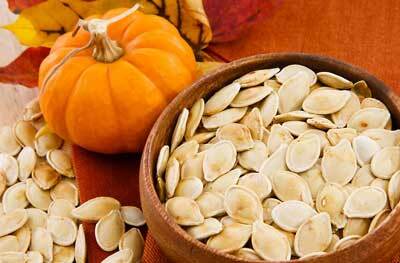 The next superfoods to fight fatigue is pumpkin seeds. Seeds can be tempting snack foods. The food is not only delicious but also very good for health, especially in combating fatigue. Pumpkin seeds contain some vital nutrients such as omega-3 fatty acids and vitamins B1, B2, B5 and B6, and minerals such as manganese, magnesium, phosphorus, iron, and copper. These nutrients will fight fatigue and boost immunity and provide energy for the body. Oatmeal is a portion of superfoods to fight fatigue that famous. These healthy foods contain important carbohydrates stored in the body as glycogen and provide fuel for the brain and muscles throughout the day. Oatmeal contains many nutrients that need by your, such as protein, magnesium, phosphorus and vitamin B1. Oatmeal is also useful as a superfood to preserve the digestive health because it contains a lot of fibers. Oatmeal is also good to combat diabetes and keep blood sugar levels remain normal. 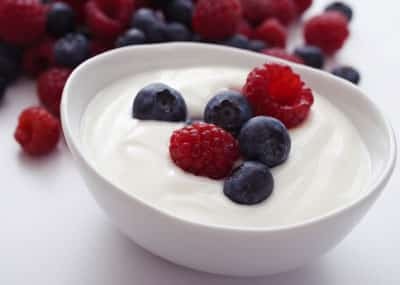 Yogurt is a morsel of food that is high in protein, carbohydrates, probiotic. Nutrition is very nice to fight fatigue. Yogurt can even become energy supply quickly than the solid food. The probiotics in yogurt can also help ease symptoms of chronic fatigue syndrome. 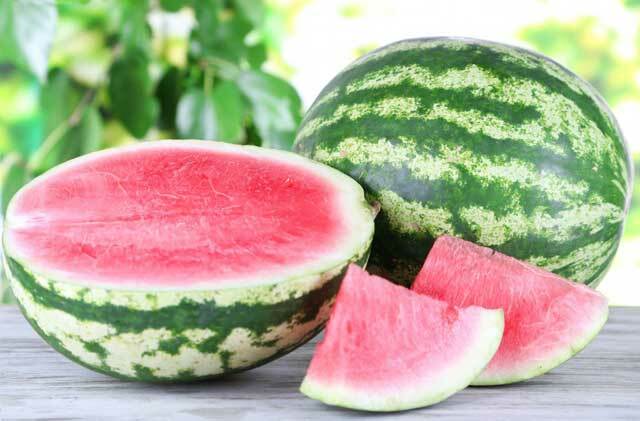 Furthermore, the superfoods to fight fatigue is watermelon. Watermelon is good to consume when the hot day, after practice. The lost energy will get back after eating a watermelon. This juicy fruit contains a lot of electrolytes that will keep your body stay fresh and free from fatigue. Walnut is superfoods to fight fatigue that is very fitting because it can quickly eliminate fatigue you experience. Walnuts contain omega-3 fatty acids that are ready to reduce the symptoms of fatigue and relieve symptoms of depression. Walnuts also help increase energy after exercise because it contains a lot of protein and fiber. The content of other nutrients in nuts is manganese, magnesium, phosphorus, iron, copper, and vitamins. Peanuts are one of the healthy foods that can fight fatigue. Nuts contain some nutrients for the body such as complex carbohydrates, potassium, magnesium, phosphorus, copper, iron. These nutrients will keep testability your body and eliminate the symptoms of fatigue. Nuts or beans are foods that have a low glycemic index. Eating nuts do not make you worry about the blood sugar spikes suddenly. 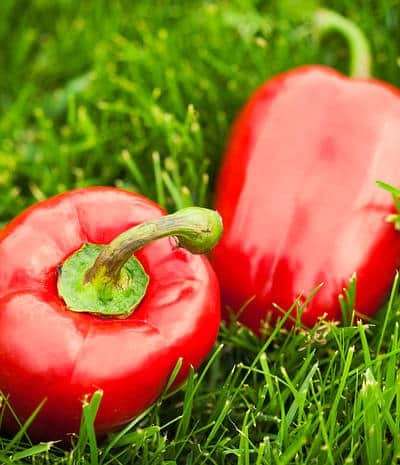 Red paprika is good sources of vitamin C. These foods are not only useful to boost immunity, but also can reduce the stress hormone cortisol, which causes the body and contribute to fatigue. Vitamin C is also imperative for a healthy adrenal system that works to relieve physical and mental stress. Lack of vitamin C is also known to cause fatigue. Food to fight fatigue also contains many nutrients such as vitamins A, B6 and C, folic acid and fiber. 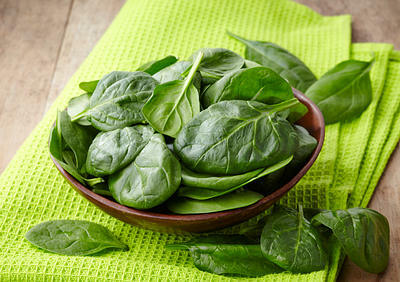 Spinach is another food that the body can fight fatigue. Spinach contains a lot of iron that is beneficial to the health of the blood so that blood can work optimally in sending oxygen to all body cells. This in turn will give you energy and fight fatigue. Food to fight fatigue contains magnesium, potassium and vitamin C and B so that the benefits are not just for fatigue but also for the other’s health. You can combine some spinach leaves to sandwiches, soups or other healthy meals. A glassful of spinach juice is another easy opportunity to strive with fatigue.